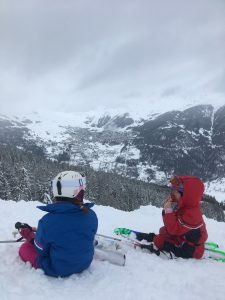 Hopefully, having read our handy guide detailing Considerations for Booking Children’s Ski Lessons Nendaz about the options open to you, you have already decided which ski lessons to book for your child. Mountain weather is unpredictable and changeable, and we have to be too. 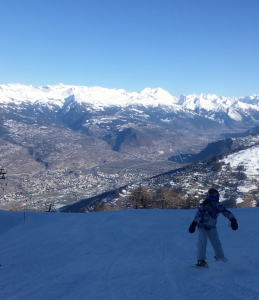 Read our Correct Clothing blog to see what items of clothing should be worn in children’s ski lessons Nendaz. Whether you are buying or renting, check out our Children’s Ski Equipment page to make sure you get the correct equipment for your children, and that they can make the most from their lesson. Explain the programme of the day- first we meet the instructor here, then you ski with them for x hours and meet Mum and Dad here. Explain that if they need to contact you, you will be able to meet them, you aren’t too far away! Make sure they know the Instructors name, and make a note of what colour helmet and uniform they are wearing, just in case. Parents MUST inform the instructor of any special requirements including dietary restriction, illnesses and learning difficulties. This will help us to create the best experience possible for you and your child. Like with any other sport, don’t expect the child to be fantastic straight away. Skiing has a staggering amount of variables, so takes a lot longer to pick up than a sport such as indoor tennis. Be supportive, but explain this to them, and let the instructor know if they are nervous. Be sure to tell the instructor any other sports that the child is good at- a good instructor can explain the movements using other sports as a reference. It is super important for them to know to let the instructor know how they are feeling, if they are cold, hungry or need the toilet! Being able to know early means being able to plan a stop and keep the child happy- their welfare is the most important thing. 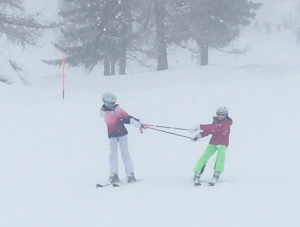 Pockets are necessary for kids on a ski lesson- better than a backpack to carry. I once read a story about a young girl calling them “snack holes”, and I can relate to that. 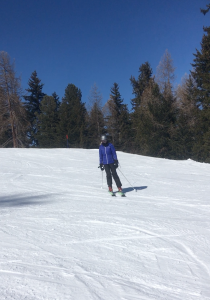 However, these are other things that are important to have in a ski lesson. 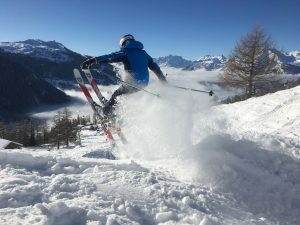 If you have any further questions about what you can expect from your children’s ski lessons Nendaz, then please give our friendly office staff a call on (+41) 077 460 24 20 or book your lessons here. 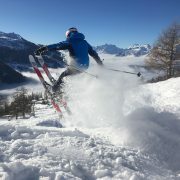 The First Verbier Ski Instructor Ready For a Ski Holiday?